Nintendo of America have detailed the latest additions to their WiiWare, Nintendo DSiWare and Nintendo eShop services, bringing a wealth of new titles for download. Pick up that Wii Remote controller and get ready to mix, match and lay down your own tunes. Just JAM offers a live music experience featuring your favorite genres and cool artists. With mind-blowing visuals and an engaging storyline, this game will keep you entertained for hours as you travel across Easter Island and help to unravel its mysteries. Become a makeup artist! Allow your creativity to run wild as a famous makeup artist with realistic makeup tools. You can even create a 3D face – simply take picture of your face, place it onto a 3D face and apply makeup. Complete various missions and become a professional makeup artist. Dark days have befallen the town of Blissburg. Roller Angels is a side-scrolling platform game in which an alien race known as the Monodrones is stealing the town’s precious colors. It’s up to the Roller Angels to roll into action and restore color to their beloved town. With the help of Dr. Lionel, who developed a special spray paint, the angels use the spray paint to bring color back. Get a load of the country life in Farm Frenzy, a super-fun arcade game that lets you show Old MacDonald how it’s done. Slip into a pair of overalls and try your hand at running a farm. From tending to the fields where your cows graze to gathering eggs for sale at the town market, Farm Frenzy lets you give Old MacDonald a run for the money! Originally released in 1991, this action game allows two characters to be used alternately. Secret agents Masato and Mizuki have been dispatched to infiltrate and destroy an enemy fortress. Twisting pix with clever tricks – that’s the challenge of Qix. Your objective is to claim as much of the screen as possible. 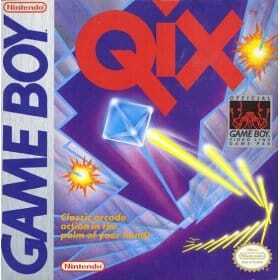 However, Qix will try to disrupt you at every turn by rotating, stretching, shortening and changing directions. It’s sneaky, it’s snaky, it’s an unpredictable energy field. Dark days have befallen the town of Blissburg. Roller Angels is a side-scrolling platform game in which an alien race known as the Monodrones is stealing the town’s precious colors. It’s up to the Roller Angels to roll into action and restore color to their beloved town. With the help of Dr. Lionel, who developed a special spray paint, the angels use the spray paint to bring colour back.